It has become increasingly difficult to ignore the ways that the centrality of new media and technologies — from the global networking of information systems and social media to new possibilities for altering human genetics — seem to make obsolete our traditional ways of thinking about ethics and persuasive communication inherited from earlier humanist paradigms. This book argues that rather than devoting our critical energies towards critiquing humanist touchstones, we should instead examine the ways in which media and technologies have always worked as crucial cultural forces in shaping ethics and rhetoric. 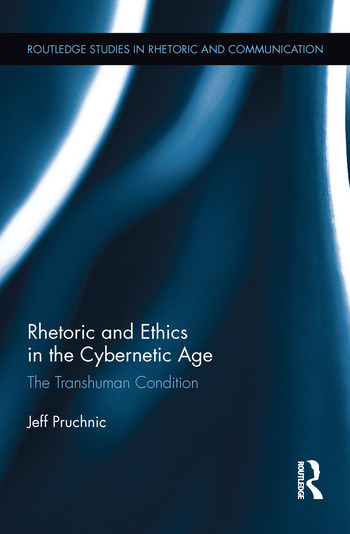 Pruchnic combines this historical itinerary with critical interrogations of diverse cultural and technological sites — the logic of video games and artificial intelligence, the ethics of life extension in contemporary medicine, the transition to computer-automated trading in world stock markets, the state of critical theory in the contemporary humanities — along with innovative analyses of the works of such figures as the Greek Sophists, Kenneth Burke, Martin Heidegger, Michel Foucault, Friedrich Nietzsche, and Gilles Deleuze. This book argues that our best strategies for crafting persuasive communication and producing ethical relations between individuals will be those that creatively replicate and appropriate, rather than resist, the logics of dominant forms of media and technology. Jeff Pruchnic is an Assistant Professor in English at Wayne State University, USA.